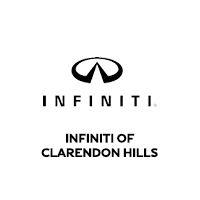 When you purchase a luxury INFINITI model to navigate Elmhurst roadways, you can enjoy features like INFINITI Intelligent Key and remote start in the palm of your hand. But what happens when your battery dies? Follow the simple steps below to replace your INFINITI key fob battery quickly and easily. What Kind of Battery Goes in the INFINITI Key Fob? Before you begin, you’ll want to make sure that you have the correct replacement battery on hand. The type of key fob you have will dictate the battery you need. An INFINITI Key Fob will require a CR2025 type battery, while a key fob that’s been designed to work with INFINITI Intelligent key requires a CR2032 battery instead. You can visit our parts center to make sure you get the correct battery for your model. Press the release tab on the back of your key fob to remove the metal car key. Once you have removed the metal key and the release tab, you will need to pry open the small panel that’s situated underneath. At this point, you should see the INFINITI key fob battery housing. We suggest using a flathead screwdriver with a small amount of tape around the end to avoid scratching or damaging your fob in the process. Replace the dead battery with a fresh one, making sure to position the positive side face-down in the fob. Reattach the small panel that you removed earlier in the process, and then reinsert the metal key along with the release tab. If your vehicle isn’t starting, the battery in your key fob might be low. Try holding the key fob closer to the start button to reduce the energy needed to send a signal. If you can’t start your car using push-button start, the problem could extend beyond your key fob battery. Try replacing the INFINITI key battery first, but if that doesn’t solve the problem, you will need to schedule a service appointment to have your vehicle’s battery checked. If your INFINITI key battery is dead, you can use the metal key in the back of your key fob to start your vehicle and lock and unlock the doors. If you run into any problems, the certified technicians at our Clarendon Hills service center are here to help. Contact us, or drop by, and we will get your key fob in working order and you back on your way to Downers Grove in a flash. Can the INFINITI QX80 Tow? Where are INFINITI Cars Made?